“Something has gone very wrong with time.” BBC America has released a new teaser trailer for the upcoming Doctor Who Christmas special. The holiday special will be the final episode for Peter Capaldi’s 12th Doctor and the first for new Doctor Jodie Whittaker. 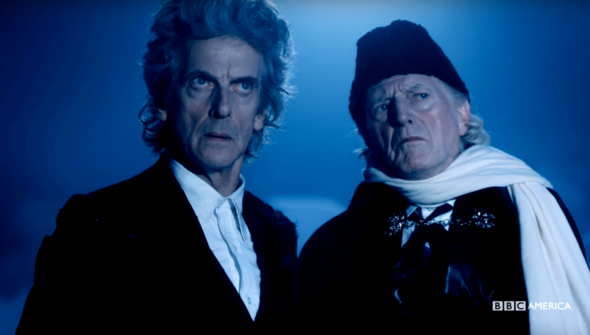 The Christmas episode will also feature David Bradley as the First Doctor and Doctor Who writer Mark Gatiss as a World War I soldier. The Doctor Who Christmas special, titled “Twice Upon a Time” premieres on BBC America on December 25th. What do you think? Are you a big Doctor Who fan? Are you excited for the Christmas special and the new Doctor?